“The Friday before Christmas, when the stock market tanked, was the biggest sales day we’ve had in 43 years! And the Saturday after that set another record,” said Vivien Jennings, owner of Rainy Day Books in Fairway, Kan., a Kansas City suburb, who noted that this year saw an unexpected doubling in gift card sales. Jennings said the store kept Becoming in stock throughout the holidays in part by clearing out all local Costco locations of their inventory. “We also watched inventory runs very carefully, and jumped ahead if we saw anything trending,” Jennings said, adding that, overall, sales were up 10% over 2017 for the season. PG says the shipping operations of publishers only have one thing to do – ship books. They have been performing this function for a long time. Likewise, the production departments of publishers have only one thing to do – print enough books to meet demand. They also have been performing this function for a long time. A long time ago when PG was a baby lawyer, he was working for a law firm in Los Angeles and talking to one of the firm’s clients. Bookstores could purchase books from publishers at lower prices than they could from the client. However, publishers were not good at processing orders and shipping books. The client was very good at processing orders and shipping books. So, the client bought books from publishers and put them in a warehouse. Because he bought a lot of books, he had negotiated maximum volume discounts. Bookstores bought their books from the client, even though he charged higher prices than the publishers did, when they didn’t want to wait for books to arrive from the publishers. The client made a lot of money doing this, particularly when there was a bestseller. The bookstores wanted copies to sell to customers and they could get them from the client within a day. This client later made even more money when he sold his business to Baker & Taylor several years later. Some businesses are set up to sell their products only through wholesale channels. This can work financially because they don’t spend any money fulfilling small orders. They crate and ship an order for a thousand widgets using bulk shippers instead of individually packing one hundred boxes, each with ten widgets inside, and paying UPS to deliver each one to a separate location. Other businesses are set up to sell directly to retailers. This can work financially because they can sell to the retailers at a higher price because they’ve cut out the costs and profits of a middleman. Apparently, typical book publishers still try to do both, so they bear the expenses of each type of business without being terribly effective at satisfying their customers. The Golden Notebook, Woodstock, N.Y., has an answer for “showrooming,” the habit of some bookstore customers to learn about books at bookstores and then order them online on their phones, sometimes in front of booksellers who just made the recommendation. 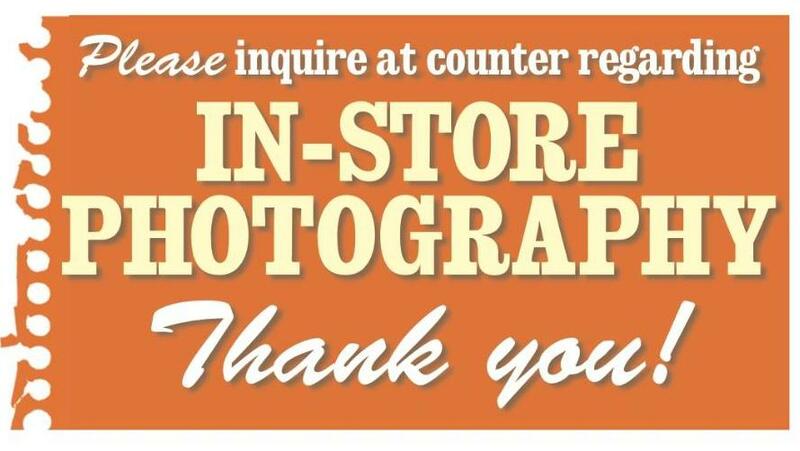 At the Golden Notebook, a sign on the front door reads, “Please inquire at counter regarding in-store photography. Thank you!” As a result, wrote co-owner James Conrad, “we have no issue approaching a customer photographing and saying ‘excuse me, we do not allow in-store photography.’ We then attempt a teaching conversation about how we struggle against the internet and how hard we work to find the unique and sometimes extremely hard to find types of titles that reflect our unique community and customers. Usually people are extremely apologetic and sometimes they just say nothing because we basically told them we know exactly what they were doing. While PG doesn’t take joy from the struggles of any small business, he thinks this is a little pathetic. Do the proprietors of a bookstore in Woodstock, a noted upscale tourist destination known for its art, music, etc., think their customers don’t know about Amazon? Do they think their customers don’t know that the bookstore is trying to keep them from making purchases at Amazon? Are the store owners trying to persuade visitors to purchase a product by making the visitors feel guilty? Is a first-time visitor to the store who uses a cell phone camera in a way they are completely accustomed to doing almost everywhere else in the world going to be more or less inclined to visit the bookstore again if they view the management as being a bit unfriendly? Is it possible a reasonably intelligent visitor might see the sign and think, “Oh, yes, I can buy anything in the store cheaper at Amazon?” How about a visitor who prefers ebooks to printed books for any of a number of reasons? Is he/she being told there’s nothing the store is interested in selling him/her? Attentive readers will note the single mention of Amazon – Kindle Unlimited, associated with “subprime price points under $5”. Traditional publishers can’t and won’t compete in that market, preferring authors and books with “premium-price loyalty”. PG suggests that category title is not properly worded. Instead, he believes that traditional publishers are trying to promote authors and books that attempt to command “over-priced loyalty” from readers. As readers come to understand that most of the money they pay for traditionally-published books goes to middle-folk like bookstores and publishers with very little trickling down to authors, their loyalty to premium pricing may erode. Wigtown is a coastal “book town” in Scotland that features an Airbnb rental where bibliophiles can spend their vacation living out the romantic fantasy of running a bookstore. And indeed, according to Shaun Bythell, a year-round bookseller in the same town, it’s deeply romantic work: The evocative smell of books, mixed with cat piss; the customers who openly compare prices on their laptops to Amazon; the book-loving employees, always drunk or severely hungover; the orders for erotica titles such as Tokyo Lucky Hole; and the badgering of aspiring memoirists trying to find a publisher. Bythell’s own memoir, The Diary of a Bookseller, is a hilarious read about a dreary year running The Book Shop, a large used bookstore in Wigtown. After a September 2017 UK release, the book comes out in the US Sept. 4 from Melville House. Bythell took over the store in 2001, at age 31. Starting in early 2014, he kept a daily journal of store happenings for one year. It’s a cheerfully depressing account of independent bookselling today—deadpan, ruthless, poignant, and at times, so charming it’s almost unbelievable. The larger cast of characters in Diary of a Bookseller are so zany and absurd they would seem over-the-top in a 1990s movie about an indie record shop. There’s Sandy, the most tattooed man in Scotland, according to Bythell, who barters walking sticks for store credit; Smelly Kelly, the cologne-soaked man in dogged pursuit of Nicky, who has made it clear she’s not interested; and Eliot, Bythell’s friend who tends to discard his shoes somewhere in the store within 10 minutes of arrival. The circus aside, the book is rich with information about the business of bookselling, including a description of an ingenious online scam to reduce book prices. Bythell saves his deepest rancor for Amazon (though he uses it to fulfill online orders), which has hit him and other small and medium-sized used booksellers particularly hard. His contempt is made apparent one day in August, when he receives a complaint about a late book. Bythell goes to his parents’ house to borrow a shotgun and then shoots a used Kindle he bought on eBay for £10. (Footage of the target practice is admittedly satisfying.) He mounts the mangled e-reader in the store. The Diary of a Bookseller doesn’t seem like it should work. Life at The Book Shop is boring. On a typical day Bythell might sell £200 worth of books, once as little as £5. But there is a soothing monotony to the rhythm of his days. Bythell somehow creates a sense of urgency in the nothingness, and readers may feel that if they skip even one day, they’ll miss some winningly cutting remark. Link to the rest at Quartzy and thanks to Dave for the tip.